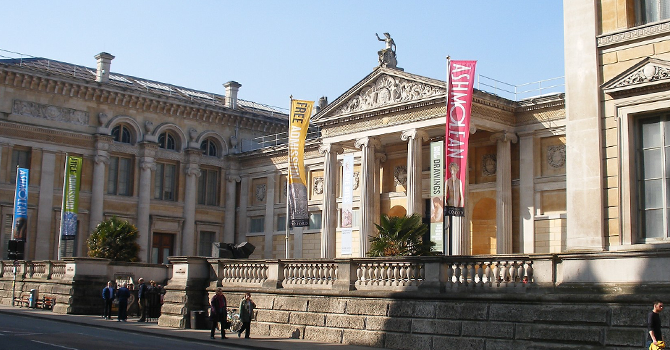 John Sheehan (Oxford) Limited completed another highly complex assignment to help improve access to the prestigious Ashmolean Museum’s Egyptian galleries of ancient Egypt and Sudan. Our experts had to overcome extreme civil engineering challenges to deliver the brief. The Shrine of Taharqa is 2700 years old was created in the Oxford city centre museum in the 1930’s from blocks of light-coloured sandstone and is freestanding. The shrine, which due to its delicate nature it cannot be moved, was in the centre of the building works. The shrine is surrounded by four structural openings, which the museum wanted to enlarge to enable more pieces to be displayed and improve the sense of space for a better visitor experience. John Sheehan (Oxford) Limited was commissioned to fulfil the highly challenging brief. Our team of specialists completed detailed drawings and worked in partnership with the Health and Safety Executive and local authority. Each entrance was protected by propping up walls and ceilings above and below the shrine to enable demolition to take place safely. To create the new space and link rooms solid concrete walls were cut and steels were carefully inserted. Our team worked meticulously to ensure the museum’s famous artefacts were projected throughout. This included constructing a specially designed temporary structure and placing it over the shrine to protect it from the construction work. The completion of the complex project transformed the space and enabled the Ashmolean Museum to display world renowned Egyptian collections to thousands of visitors, that had previously been in storage for decades.